Ferrari transmission options 20 years ago did not include F1. There is no crystal ball that could predict how Ferraris and cars in general would change over the next 20 years, including the decision by Ferrari to cease production of models with gated 6 speed transmissions. 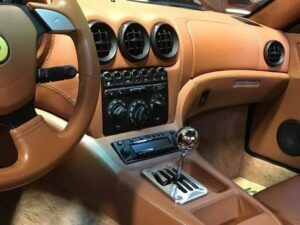 Recently we completed a Ferrari transmission conversion project for a client who bought an F1 575, after failing to located a suitable increasingly scarce 6-speed manual example.